Irvine Arditti Interview with Bruce Duffie - also David Alberman. . . . . Most of the interviews that I have done since 1979 have involved just one guest. Occasionally there have been two guests, and on one occasion three! This conversation, held in Chicago in March of 1992, is one of the duo-variety. 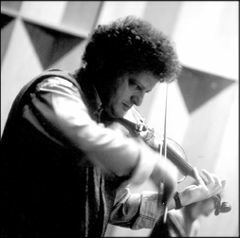 I spoke with two members of the Arditti Quartet — violinists Irvine Arditti, founder and namesake of the group, and David Alberman, who played second violin from 1985-94. The quartet gave its first concert in September of 1974. There have been a few changes in the three lower voices over the years, but it has been quite stable as a performing unit for most of its life so far. A full list of the players can be found in the article about the group in Wikipedia, and, as is normal for these days, the quartet has a website with current information. A brief biography of my two guests has been included at the end of this webpage. Also, names in this presentation which are links refer to my interviews elsewhere on this website. 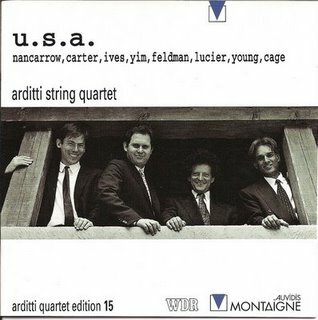 The Arditti Quartet specializes in new music, and gives many first-performances as part of its regular routine. This has gone on since its beginning, and composers and audiences have come to expect brilliant renditions of the latest ideas, as well as current thoughts on recent works and "standards" of the 20th century repertoire. They have given the world countless performances and have made a large pile of recordings that document their efforts. We are lucky to have such champions of the latest of most cutting-edge ideas, and though most concert-goers still have no use for modern music, the fans remain faithful and others who are curious keep coming around and are often won over. Bruce Duffie: You are the founder of the Arditti Quartet and it bears your name. Do you have any good or bad feelings about giving a quartet your own name? Irvine Arditti: Both good and bad. We had no option. We had to find a name in 24 hours and nobody could think of anything else. It sounded foreign at the time because we were in England, so we decided to use it for want of anything better, and it sort of stuck. Some while after we began we thought maybe we should call it something else, but then it was too late. BD: Has the personnel stayed stable, or have there been changes? Irvine: There've been some changes over the years; we've been going now since '74. One person has changed occasionally. We lost our viola player last year, who was one of the other original members, but our cellist has been with us since '77, so he's considered almost original. But it's nice to have newer blood in the quartet sometimes. Irvine: Yes! There's nothing wrong with a change. BD: I would think with four people, though, it would have to be rather a close-knit family. Irvine: It is, but if you make the right change, sometimes things can improve. BD: How much of a democracy is a string quartet? Irvine: I think it depends on which aspect of the quartet one deals with. When we're rehearsing or playing, it's complete democracy. Everyone is throwing in their ideas and their opinions about what we're doing. Obviously, for other aspects of quartet work, we delegate to various members certain jobs that keep the quartet running. One person is responsible for certain things, but it's very much a democracy when we're working. BD: What about the selection of repertoire? Irvine: In many ways that's done by other people, but we are always consulting each other's opinions when deciding things; I suppose ultimately things are left for one person to make a decision, and when that happens it's usually me... Usually, but not always. Advice is always taken on matters when we're not sure about things. BD: You have a huge literature to choose from, and yet you select many new and untried works by tried and untried composers. Is this a good thing or a bad thing, or just a thing? Irvine: Well, I think it's a thing; it's a good thing, and it's a bad thing. We have lots of repertoire, certainly, but part of what we do is to play new music. We will always continue to be interested in commissioning new pieces; we will never be short of composers coming to us with existing pieces, wanting us to play them, and this has always been part of our work and part of what we're set up to do. There are many levels to what we do. We concentrate on some of the classics of the 20th century, we concentrate on some of the contemporary classics from recent ten to twenty years, and we're also concentrating on very new music and getting composers to write things and playing music that's just been written. BD: Do you find that it's easier to come to a piece that has been played before, or easier to work with a new piece that is completely untried? Irvine: It's not a question of easiness; we do both things and we don't consider one more easy or more difficult. In general, when we're playing older music, we tend to make our own opinions. If we're playing an established piece that's been around for 50 years and we haven't played it before, then we come to it like a piece of new music and decide how to interpret it as if it were new. BD: You're working with the composers a lot of the time. Do you have some who are more meddlesome than others, and some that leave you alone? Irvine: We don't consider it meddlesome. We like composers to participate in our work and to influence us and tell us what they want, because we're here, in a way, to serve them and to play the music the way they want it. If we disagree, then we'll probably make the final decision, but in general, we like to give authentic interpretations. We consider that one of the great assets of playing new music. After all, if you're playing music from the past, you can't ask the composer the way he wants it, but if you're playing music of today, you can; so why not? We like that and we always try to work with composers before we play a piece for the first time. I wouldn't consider it meddlesome; some composers have a lot to say about interpretation, and some are very happy to leave it up to us. They might make the odd comment, which actually might be very useful. Just the odd comment about which direction to go in interpretation is helpful. BD: Is this not something that's already on the page, or is it ambiguous? Irvine: I think it's always ambiguous; it's very hard to write down everything you want and it's equally very hard to see exactly what somebody wants. After many years interpreting new music, you get a very good idea of what people want, but some people can just point you in the right direction just with a few comments. Others have very specific ideas and are very clear about what they want, and it can be very revealing to work with them and find out their verbal ideas about what's on the paper. BD: Let me ask the big question, then. Where is new music for string quartet going these days? Irvine: It's going in whichever direction people care to direct it. We're not writing music, we're playing it. Irvine: We're observing the fact that there are many, many diverse styles going on. I wouldn't say it's going in one or a few directions, like perhaps one could say when we began. Every composer is writing in their own style and usually quite differently from the other! There is no single direction. BD: Is it good that there is all this divergence, or does that make for more problems in interpreting these styles? Irvine: It does make for problems, but one learns by experience. The artist is switching from one sort of music to another, and this is perhaps one of the hardest things, to give one sort of piece one's all and then in the same program switch the next piece to something that requires something completely different. But that's something that one has to learn as an interpreter of new music, and it's actually one of the interesting things, that you have to be very diverse in your interpretation. BD: Are you becoming specialists in diversity? BD: Let me turn to the second violinist now. Have you also played in orchestras? 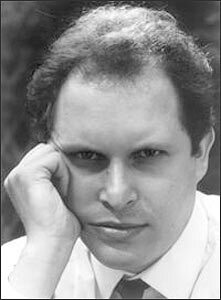 David Alberman: Yes, I did briefly before I came to the Quartet. BD: How is it different to play in an orchestra with a conductor, as opposed to a quartet which is more of a family? David: I'm the only second violin in the quartet, and nobody else plays what I'm playing. That's probably the one big and obvious difference. That doesn't mean, of course, that I have 100 percent control over the total product. I'm one of four, whereas before I was one of one hundred and one, if you count the rest of the orchestra plus the conductor. But of course it means I have a lot more control over my contribution. BD: Do you have 100 percent control over 25 percent of the product? David: Yes and no. The great thing about a string quartet is that the whole is greater than the sum of the parts. I find myself responding to the others which makes me do things that I certainly wouldn't have thought of doing by myself. Sometimes that makes me a better player and sometimes it creates difficulties which are not there if you're playing on your own. But it is enormously challenging, and in the type of repertoire we play, the second violin is treated fairly equally with the first violin. BD: So it's not like a Haydn quartet, where it's really a concerto for the first violin. David: Absolutely not. It's not as though I'm the chief cook and bottle-washer in charge of the accompaniment, which I would be in a Haydn quartet. I'm treated as one of four equal voices. Sometimes I'm used in a lower register than the first violin, but often we're used as duellists or a pair of identical instruments. The quartet is fundamentally uneven in that way; there are two identical instruments plus two very different instruments. Some composers make use of that and it's fun. It's never an easy option to be second violin, whether you're a classical quartet or whatever, but I need an E string a lot of the time. BD: So you are playing up in the top register as well as the middle and low. BD: Having two identical instruments, are there composers who use the second violin as a transition trying to get from the first to the viola? David: Oh, yeah; sure! In the classical repertoire, you don't spend much time on the E string; you're using your middle registers. BD: Is it the same thing for the violist, not spending a lot of time on the A string? David: No, it's different for him because he's kind of lower, although some people argue that the viola is a kind of evolutionary mistake in the instrumental family — that what should've happened was that the viola should've been tuned an octave below the violin. According to these theorists, anyway, that would have produced a better-balanced sound between the violins going down to the cello. Because the cello has this enormous range, it can blend in right at the top of the register, but it's often the viola that has difficulties being even all the way across the register. BD: [Turning to Arditti] Do you find, as first violin, that you're playing too much on the E string? Irvine: No, not really. As first violin, one is always playing a lot on the E string almost every repertoire, but you get used to that. It's not really too much. I think contemporary music uses the whole spectrum of the range, but it does for both violins and for the viola and cello. A lot of the writing is in blocks, so I might be at the top of my instrument, but the cello is maybe in the same register. Irvine: Yeah. It's no great thing for the second violin to be playing within a tone or a third of myself because the cello and the viola might be doing almost the same thing, so one gets quickly used to that in contemporary repertoire. Often one thinks of it more as being written for four soloists than a real string quartet. BD: I would think that would be counterproductive to be four soloists rather than one ensemble. Irvine: Well, four soloists within an ensemble from a point of view of pitch. David: And also that the composer exploring possibilities of different voices rather than trying to blend them together into a mellifluous whole all the time. BD: But isn't that the point, to make a blend of something? David: If a blend means that everything has to be similar, so that you can't pick out individual features of the instruments, then no; then by all means go back to your Mozart and your Beethoven where it's chordal writing and you're expected to make exactly the same sort of sound. But if you want something which is much more like an orchestra, which has totally disparate-sounding instruments — including percussion — you have a huge range of color. You'll have a note which is sounded at the same time on the harp, the violins or maybe the glockenspiel. BD: Is this really what's happening so much in 20th-century music, that we're exploring for new colors within just these four possibilities? David: Sure! I think a lot of people feel that there's a huge range of unexplored colors in very familiar combinations like the string quartet, for instance. BD: Is that why you'll stamp your feet or tap the bow on the stand, and do all kinds of extra things? David: Oh, that's because people don't accept that they need to impose limits on their creation, which is fair enough. BD: What do people want out of a string quartet, especially a string quartet that specializes in new music? BD: Is that all you give them — new music? David: No, no. New music, I suppose, is only ever new once to any given audience. But, as Irvine said, we try to give a mix of classical 20th century pieces. That's the Second Viennese School — Schoenberg, Berg, Webern — plus things like Bartók or Janáček and other composers from early in the 20th century who we feel are interesting, but have never been properly heard. For instance, we've recorded music by Russian composers, some of whom were émigrés living in Paris — Ivan Wyschnegradsky [(1893-1979); surname also spelled Vïshnegradsky, Vyschnegradsky, Wyshnegradsky, Wischnegradsky, Vishnegradsky, or Wishnegradsky] and Nikolay Roslavets [Ukrainian/Soviet composer Nikolay Andreyevich Roslavets (1880 or 1881-1944); the Arditti Quartet gave the premiere performance of his Music for String Quartet (1916), completed and edited by Alexander Raskatov, in 1991 at the Purcell Room in London]. They were followers of a kind of lost tribe, and were musical descendants of Scriabin [Russian composer/pianist Alexander Scriabin (1872-1915)] who tends to get forgotten, except by the piano players. But he was, of course, a very important influence on Late Romantic music, especially in harmony. BD: Is it especially good for a quartet that specializes in the newest of the new to then go back and play something that is unfamiliar and yet Romantic? BD: Is this something that we are losing? A lot of record collectors will say you could always tell the difference between Elman (1891-1967) and Kreisler (1875-1962). David: I think so. I think there's less personality today. But leaving aside the personality of the artist, what it means is that you hear more and more what is expected of a violinist or of the violin, and less and less a sound which the composer might have had in mind. In the sort of music we play, composers are often very specific. Some never ever want vibrato in their music. BD: So they just put "senza vibrato," and then it's gone? David: Yeah! But there are composers like Iannis Xenakis (1922-2001), who often doesn't write "senza vibrato," but it's clear from some of his earlier works and from working with him, that that's the sound he likes; he likes that kind of pure sound which is as near as a string instrument can get to electronically generated tone, which has a kind of purity about it. [See my Interview with Iannis Xenakis.] Of course the sounds we make aren't pure because they've got all sorts of overtones. BD: Is he wanting art to imitate electronics? David: Absolutely not, but he needs to use a metaphor to try and express what he's heard in his mind. BD: I thought composers were trying to go the other way, to get the electronics to imitate art. BD: So this is the tradition that we're being handed? David: It's not a tradition, it's merely a function of musical notation that with the best will in the world you can never write down everything you've heard in your mind. Probably there are philosophical reasons why it's never possible for anybody to express exactly the sound that came into their head and put it down on a piece of paper. If that weren't the case, then there wouldn't be so much argument about what was proper performance practice for Mozart or Haydn. BD: This is what I'm getting into now. Rather than looking back to Mozart, look ahead 100 years, or even just a few years. Other quartets might say, "Let us play it a little bit differently," and someone says, "No, no, no, but the Arditti recorded it and Xenakis was there at the recording session and that's the way he wanted it, so it's the only way to play it!" What do you say to the audience or the interpreters then? David: I guess the grown-up way of looking at it is to look at the score, listen to the existing interpretations, find out what the tradition is and then do it your own way. In our case, we're lucky because we can play a piece for the first time ever so there is no tradition. If you can ignore tradition, that's good because it means that you may come up with a better way of playing the music. There are no hard and fast rules. For instance, it seems to us that playing the music of Xenakis without vibrato is a definite advantage because of the nature of the music. I wouldn't be a bit surprised if people are playing that music 100 years from now and arrive at the same conclusions! But I also wouldn't want to rule out the idea that they could play equally convincingly in a totally different way. BD: Do you ever go back and play Mozart or Haydn, or anything like that just to cleanse everything or look at it with new eyes and ears? Irvine: [Snickers] No, probably not; we don't need to. We don't have any really great desire to because we're so involved in what we're doing. David: We enjoy everything we're doing. There's no pollution to be cleansed. BD: No, but any kind of change would be a refreshing, would it not? David: Sure! Although don't forget that the stylistic variation in the 20th century is far greater than anything you'll ever find in anything written prior to 1900. BD: I just wonder if four men who spend their lives on the cutting edge of music would find something special in going back and playing Mozart as though the ink was still wet on the page. Irvine: I'm just thinking about it. I don't feel that we ever have a desire to do that. It's enough for us to go back and play Janáček or Bartók. We play the Große Fuge of Beethoven, so that's very much as part of our repertoire. But that's as far as I like going. BD: Might you go back and play a full Beethoven cycle just to do it? Irvine: No, probably not. We have far too much responsibility to what we're doing, actually to give up the huge amount of time that it would need to prepare something like that to the standard that we play at. BD: That would be two years right there. David: Or twenty, you know. Also, we very much enjoy playing the repertoire we do play with each other; I'm not sure that we would have sought each other out had we wanted to play different repertoire. BD: So you don't ever feel that you're a slave to the newest? David: Not at all because we don't play only brand-new music. In any case, brand-new music is so diverse that you don't feel that you're a slave to any one master. BD: Do you have any advice for composers who want to write for the string quartet? David: Yeah. The bottom note on a violin, in its normal tuning, is G below middle C.
David: But apart from that, do what you like. BD: You don't want any scordatura, to tune it down to an F-sharp? David: If they want an F-sharp, just remember to ask us to tune it down, but otherwise, no. I think composers should, within reason, be allowed to do absolutely what they like, and performance problems are the problems of the performers; that's our department. Irvine: I would always discourage composers from scordatura. I really find it quite disturbing to be involved with that. Sometimes the effects they get are quite wonderful and there's no other way to do it, but for practical reasons it's very disturbing to detune your instrument because they don't stay in tune, and then you tune them up to play the next piece and they're not in tune. We often bring other sets of instruments to use in those cases. BD: What advice do you have for younger string quartets who want to begin delving into this kind of repertoire? Irvine: The advice is "Please do, and we will give them all the help we can." David: Come on in; the water's warm. Irvine: [Chuckles] We're very anxious to see younger players play some of our repertoire; we often help young quartets and encourage them. BD: Good, I'm glad. Are you optimistic about the future of music? Irvine: [Thinks for a moment] We have to be. Look at our schedule. BD: How many concerts do you play a year? Irvine: I tend not to like to count them, but we seem to be working almost all of the time — recording or concertizing. BD: Do you purposely schedule a week here or two weeks there to go skiing or swimming or doing something besides playing? Irvine: We take time off and we all do our own thing. David: It's more like a month in August and maybe five or six weeks around Christmas and two weeks around Easter; that kind of thing. Irvine: It's important to take some time off; and we're not working all the rest of the time, but we probably could be now, if we wanted to be. BD: As the principal violinist of the quartet, are you a little more responsible for the sound that comes out and the sound that is decided upon — just the pure musical sound of the instruments? Irvine: I'm not sure that any one person is responsible. Because of my interest in contemporary music the quartet was founded, so perhaps initially I did more than the others. In some ways I'm more responsible than the others for knowing, initially, what direction I wanted the quartet to go in, and therefore, in this instance, the sort of sound that we should make with certain works. Though very much how we play is a product of the way we work as a group of four people. When you're "in the groove," as we say, interpreting something, then everyone has to be connected and doing in the same way. Therefore everyone is equally responsible. BD: But there is an Arditti sound, is there not? Irvine: I don't know; is there? BD: Do you want there to be? Irvine: I want us to represent what the composer is writing, so if an Arditti sound means that we're giving clarity to the compositions and interpreting them in a way which illuminates what the composer wants, then yes there is an Arditti sound. But if you mean does everything sound the same in the same way, I hope not, because I would not like to think that we played a piece in the same way. For instance, the music of Elliott Carter, to me very much tends to come from the music of the Second Viennese School, and one plays this with brighter, rich left-hand sound. [See my Interview with Elliott Carter.] The music of John Cage is very different as is the music of Morton Feldman, and one would perhaps not play it in anything like the same way — a very sort of still, distant sound. [See my Interview with John Cage.] A perhaps meditative sound is required. Now to come back to Xenakis, not only the left hand but the right hand is really producing something that's pure and harsh, but without the traditions that one has learnt from the last century without the oscillating vibrato. BD: When you get a new piece of music — either commissioned or just something that you get on your stands — how long does it take before it really becomes part of your fiber, part of your being and in your blood? Irvine: It can be a greater or lesser time; it depends, really, on the sort of music and if we've experienced it before. Playing many different sorts of music over the years, one becomes very quickly accustomed to what is required. Very quickly — from the very beginning, almost — we can begin to understand what the score is about and the sort of sound that perhaps we need to make. How much a piece is really inside you depends mainly on how difficult it is. If a work is technically difficult, it's not so accessible, and it takes time for it to be really part of you. BD: Accessible to the players? Irvine: Yes, from a point of view of technical difficulty because you may need to spend hours and hours and hours rehearsing the problems of the piece. But I would like to think, from an interpretive point of view, we're quite quick at assessing what it needs, and therefore being in the world of the music as an interpreter. It's a bit like being a radio interviewer, I guess. You've probably interviewed quite a lot of people and they're all different; they've got different things to offer and you get accustomed to asking them questions so that in as brief a time as possible you get to know their innermost character, what they will do, what they won't do, what they do well, what they do badly, whatever. And that's one of the things that we've had to learn by looking at so many different new scores. BD: I try to get my guests to open up and talk about things that are of interest, and I assume that's what you try to do — get the music to open up and reveal its sounds. David: Yeah! We want to get past the notation, going in, but when we play the music, coming out to the audience, we want them to hear the music behind the rhythms or the pitches or the effects or the noises or whatever it is we're doing. Irvine: One of the interesting things is that we have to really quickly assess music. Because of our position in the musical world, people expect things from us. For most of the things we do, we are creating the tradition, and one of the fortunate or unfortunate things is that the first performance is very important for us. We must give that impression and show what the piece has to offer the very first time. Most classical groups — not just quartets — if they're playing a modern piece they'll try it out here or there, in perhaps an unimportant place first. But people don't require that from us; they always want the first performance in the limelights, in the important concert. So we learned, from the very beginning in the first few years of our existence, that we had to come up with the goods from the very beginning! It takes a certain sort of direction in your rehearsing and understanding of music, and speed is necessary in order to do that. BD: When you get a piece and you've learned it and performed it a few times, what is it that you look for that will help you decide, "Yes, we want to keep this in our repertoire," or "No, we've done as much as we can and we don't care to play it again"? Irvine: I don't think "done as much as you can" is really relevant. One sees whether a piece has the qualities necessary to stimulate audiences. Perhaps pieces don't stimulate audiences are also worth listening to, but we can tell if a piece is important and should be played in many places or if a piece may have a shorter life. Often audience reactions dictate this, although they can be very different in different countries. We decide and don't let that influence us too much. But it's quite a difficult job deciding which pieces we should play in which places. David: Although, as Irvine said earlier, by and large we don't have all that much freedom of maneuver to choose which pieces we're going to play. Irvine: Mostly in Europe, people are dictating to us; they know our repertoire and they're asking us to play because they want specific pieces, and because they know that we are the known — or renowned — interpreters for those pieces, or because we're the only interpreters for those pieces. Therefore they're often just asking us to play pieces from our repertoire that they know we do. David: But if promoters come to us and say, "We need you to recommend pieces that fall into this or that category — maybe young composers or composers from America or composers from Russia or composers from Australia, whatever it might be — then, obviously, there are some criteria and we have to take into account the reaction of the audience. Audiences are as perverse and different as human beings can be, thank God, and a bit like a jury in a court of law, sometimes. Some people who think they're professionals in these matters question how we think. They will say beyond any shadow of a doubt that a piece simply is unsuccessful and has no appeal whatsoever; then we play it and bingo, it's a smash hit. We're not in the business of censoring music, or keeping it from the public. BD: You are just the opposite; you're trying to put more music in front of them! Irvine: I think we're doing that because we're very consciously trying to promote young composers if we feel they have something to offer. Particularly we'll take one from one nationality, and take him to another country where he's hardly known, and let people hear the piece. I feel that's part of what we should be doing and not so much always just playing the well-known composers. We try to do this even in our disc repertoire, which we're accumulating now at quite a rate. We're trying to promote the established composers that we're known for, and also the younger people that a lot of people have never heard of. BD: It's a great exploration, and I assume the depth and the number of compositions and composers is almost endless. BD: Do you play differently in the recording studio as you do in the concert hall? Irvine: We try to keep our mouths shut, so we don't make moaning noises in the recordings. In the concerts, anything goes. [Everyone chuckles] No, I don't think we play differently; we try to give our interpretation, which is what we're doing in the concerts, also. I think we've learnt over the years how to play in recordings so that no matter what conditions — if you're stopping and starting and doing short sections — you're giving the same sort of energy that you would be giving if you were playing in a concert. I think it is very important to learn how to record and I hope we learnt that very early on. BD: Do you learn the piece in the performances to play in the recording, or do you learn the piece in the recording to play in the concerts? Irvine: Recordings come as the second thing; one obviously wouldn't record something if you don't know it, but it's surprising how sometimes it's the other way around! Spending a lot of time on some details in recordings to really get them right, helps with the next performance. I think they both complement each other, actually, but we wouldn't consider learning pieces in a recording studio to then perform. BD: But you must really learn them even better to get inside the nuts and bolts. Irvine: I think most of that work has to be done before you play, or while you're playing a piece while it's in the repertoire and being performed in concerts. But it's surprising what somebody else might hear in a recording studio or what somebody's observing and makes you think even more about something and rehearse even more, perhaps in the session in order to get something better. BD: Do you ever find that after playing a piece and getting to know it during a season and then in the recording studio, you need to take it apart and put it back together again and find a new way to do it? Irvine: It's perhaps going further with the interpretation. BD: Do you ever feel that you're competing against your own recordings? Irvine: No; not really because one lives for the moment. We're creating all the time as an interpreter, so you can't really think back to what you did in a recording session or how perfect it is because a concert is a different experience. You must give something else that the recording doesn't have. I hate to think that we're competing with other people's recordings, or even our own. A performance must be considered an experience, something which is very special. One gives of oneself in a concert, and one can be observed in such a way that it's something you cannot duplicate in a recording session. Perhaps the concert has a certain percentage less accuracy than you had in the recording session, but it offers something else. BD: So it is a trade-off, then? David: Yeah. In a sense you're looking for different things. You have different aims. If I'm listening to a recording, I don't want to hear a wrong note because it means every time I put that recording on I'm going to hear the same wrong note. I don't like that. But if I go to three performances of the same work, if they're fine performances in their own way, the occasional wrong note isn't going to mar it for me. I think that points to the fact that one is looking for slightly different things when you're recording as opposed to when you're performing. BD: When you go to concerts of other quartets, do you look for different things than the ordinary person who just buys a ticket? David: It's like a dentist who meets someone who smiles at them; with the best will in the world, you can't help but notice things that are good or bad, or that they've done something in this way or that way. But you try and suppress all of that because it's nice to try and enjoy the music — although that is quite difficult because all your training gives you a sort of running commentary to everything you're hearing. But you do try and put a lid on that. You try and break away. It isn't easy; sometimes, you hear things that you think, "I really wish they could do that better," or, "I really wish they hadn't just done that..."
Irvine: ...because you're very conditioned by your own interpretation and the way you do it yourself; you can't get away from that. One can't listen as a non-musician or a non-performer would listen from a different angle, but it's interesting to observe different listeners. BD: Do you get ideas of things to do? Irvine: Yes, possibly! I often get ideas of things — more of what not to do — by listening to other people. But then one has to have strong ideas with contemporary music — or any sort of music — about what's going on if you are going to have a personality as an artist. BD: You mentioned "enjoyment," and I want to pounce on this just a little bit. In your concerts, where is the balance between an artistic expression or an educational value, and the pure enjoyment or fun of music? David: Well, I suppose the cowardly and truthful answer is that we can't predict, nor are we responsible for the reactions of the audience. And people really enjoy the strangest things! It would be stupid to say, "Now listen, people, this next piece you're not going to enjoy, but it's jolly interesting and it's a good challenge, and it will improve you to try and listen to it." It's simply not like that. The fact of the matter is that people like different things. Obviously they're going to need to be open-minded. What we do is not going to sound like a Haydn quartet or a Mozart quartet, but given that, I think what actually goes on when an audience comes to one of our concerts is exactly the same as what happens when an audience goes to any concert, with the possible exception of the fact that they're bound to know the music better in a classical concert and they're obviously not going to know the music if we're playing it for the first time ever. But I don't think we feel that they're not allowed to enjoy any of it; absolutely the contrary. We don't feel that what we're doing should be "educational," or purification through suffering. No doubt some people feel that way, but then some people feel that way about late Beethoven or Wagner or all sorts of things. Although you can see why it's tempting to draw a line between new music and the rest of the world, actually it isn't like that at all and I don't think you should expect people's reactions to be any different, either. Irvine: I think the people that come to our concerts are people that want to be stimulated by new things. They're not the same people who are happy to sit in classical concerts and be at sympathy with the music or with the sort of style it's written in whether they know the pieces or not. People that come to contemporary concerts are perhaps more thinking people; people who want to hear new things. As David said, these people are stimulated by all sorts of different things, by the most complex, cerebral music or by the most simple music that is repetitive. BD: I didn't think you played very much minimalist music, though. Irvine: ...Gavin Bryars, for instance; it depends what you consider as minimal. We also are playing, now, quite a lot of the repertoire of Morton Feldman which is minimal in a different way. BD: Very small, tight ideas. David: Small, tight ideas that take an hour and a half in performance. David: Or longer! And that is very different from playing 32 seconds of Webern which has got an extremely cogent musical argument that goes by very fast. David: [Thinks for a moment] Yes, but not everybody will like it. BD: Does it do your heart good to know that there are more and more people coming to more and more of your concerts? David: Sure! But without wishing to sound like an evangelist of dubious sincerity, it's a nice thought that what we do and what we enjoy doing, we are now able to share with more and more people — not only through our concerts but also through recordings, which then get played thanks to people like you. And it's a nice idea to think that things that we enjoy might be enjoyed by other people. As I said, we're not in the business of saying which pieces are going to be enjoyed and which pieces are mainly for the purposes of edification or education. BD: You just present them and hope that they will get somewhere? David: Sure! Sure. But ultimately we enjoy doing it. We don't do it simply because we think it ought to be done. Inevitably, when we meet our colleagues in the music business we're treated like people who work in the nuclear industry or people who take the trash out — you know, it's a dirty job but somebody's got to do it. We're often applauded for doing a worthy thing, and very few people are jealous of what we do. BD: "Thank God you're doing it so I don't have to"? David: Something like that, but in fact we enjoy doing it. We do it all the time so the difficulties of grappling with the notation are not so great for us; we see this kind of thing all the time. Strange effects and new ways to play the instrument come up all the time, but we're pretty hard to shock now. I've played on every conceivable part of the instrument. BD: [Surprised] Played without a violin??? David: We've done pieces which are scored for four musicians, one bow, and one cigarette. BD: Is that music, or is that a gimmick? David: [Thinks for a moment] I think the answer is that it's certainly not music the way that Beethoven is music. I also don't think that it bears repeating, so to that extent there's probably something gimmicky about it. But the idea of exploring the theatrical aspect of having four musicians onstage seems to me a perfectly valid one. The problem comes when you confuse that with the job of a classical string quartet. BD: I assume that whoever wrote this piece wanted not just four musicians, but wanted a group of four that always played together. David: Sure. The point of it is to tap into the potential of a normal string quartet but then do very abnormal things with it. In order for anybody to get anything out of that, you have to set aside your notions of what a concert is and what a performance by a string quartet is, and look at it in a different way. I don't think for a moment that there's any point in comparing and contrasting that with a work by Bartók or Schoenberg. BD: It's not better or worse, it's just different. David: It's different! It's part of what we do, and what makes it difficult for audiences is that the category of what a string quartet does has expanded enormously, partly thanks to Irvine founding his quartet. BD: Well, how do you know when this far is too far? David: I don't think there's any such thing. We don't have to worry about the judgment of history; it's going to happen anyway and the sad truth is that there doesn't seem to be any such thing as an unjustly neglected masterpiece. I don't know how it works, but somehow pieces get recognized. David: Yeah, but not always eventually. We play the Second Quartet of Ligeti [Photo at left] and it's not new; it was written in 1968, but I think that increasingly it's getting the status of a postwar 20th century classic. And let's not forget that in eight years' time the 20th century will be the last century. It will no longer be the century in which we live. So I don't think it's particularly helpful or interesting to get too attached to the label of the 20th century to describe a musical phenomenon. BD: Pretty soon the 20th century'll be passé. David: Yeah. I don't think all the composers in the world are going to get together on January the first of 2001 and decide how they're going to do everything different. BD: So in other words it's already evolving into the 21st century, and maybe by 2025 we'll look back and say, "Oh, yes, back in 1989 this trend started." David: Sure! It's just like Romantic music. Dates are for calendars and music history is a way of describing what happened. BD: But there seems to be a huge revolution approximately every 300 years. Around 1300 there was a big revolution; around 1600 it was instruments; around 1900 we saw the breakdown of tonality. It just seems like there there's this cyclical division. David: Yeah, although what seems like revolution when you're living through it looks much more like evolution when you look back on it from a distance. Certainly in Schoenberg's case, the guy is usually held up for war crimes against tonality. He certainly saw himself as evolutionary rather than revolutionary. 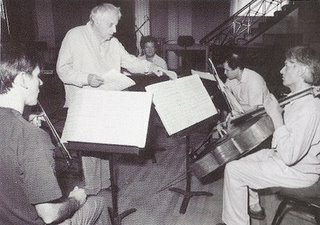 I was reading a note that he wrote in 1936 to his friend Alfred Newman [(1900-1970), American film composer, took private lessons from Schoenberg] who arranged for the string quartets to be recorded on the United Artists sound stage in Hollywood. He wrote of his Fourth Quartet that for him, his music was like all other music and different no more from other music than one personality differs from another. Now of course that's slightly idealistic, but he genuinely felt that; he simply felt that he'd spent his life writing the music that he wanted to write, and the fact that people stuck these labels on it was their problem and not his. BD: So if it hadn't been Arnold Schoenberg — this tall, balding fellow doing this — it would've been somebody else. David: It had already happened, really. If you listen to the harmonies that come out of early atonal music, they are actually not all that different from the harmonies that were coming out of some of the post-Scriabin writers who'd arrived there via a completely different route. BD: Do you view music, then, as one continuum? David: I don't see how you can view it any other way. BD: Let me ask the great big philosophical question, then — what's the purpose of music? David: [Thinks for a moment] It's fun. Irvine: It's like asking "what's the meaning of life", really, and it sort of deserves the same answer. Music is whatever it is; it's whatever people want it to be, and if they don't want it they don't listen. It's stimulation. David: I think it's one of those mildishly inexplicable parts of being a human being... although maybe animals make music too. Anyway, I think it's fun. That's as good an answer as you'll ever get. In addition to his phenomenal career as first violinist of the Arditti Quartet, Irvine Arditti continues to excel as an extraordinary soloist. Born in London in 1953, Irvine Arditti began his studies at the Royal Academy of Music at the age of 16. He joined the London Symphony Orchestra in 1976 and after two years, at the age of 25, became its Co-Concert Master. He left the orchestra in 1980 in order to devote more time to the Arditti Quartet which he had formed while still a student. During the past decade Irvine Arditti has given the world premières of a plethora of large scale works especially written for him. These include Xenakis' Orkh and Hosokawa's Landscape III, both for violin and orchestra, as well as Ferneyhough's Terrain, Francesconi's Riti Neurali, Dillon's Vernal Showers and Harvey's Scena, all for violin and ensemble. He has appeared with many distinguished orchestras and ensembles including the BBC Symphony Orchestra, Berlin Radio Symphony Orchestra, Royal Concertgebouw Orchestra, Munich Philharmonic Orchestra, Junge Deutsche Philharmonie, Orchestre National, Asko Ensemble, Nieuw Ensemble, Schoenberg Ensemble, London Sinfonietta and Contrechamps. Recent performances include Ligeti's Violin Concerto with the Rotterdam Philharmonic and Dutilleux's Violin Concerto with Het Residentie Orkest. As well as having recorded over 100 CDs with the Arditti Quartet, Irvine Arditti has built an impressive catalogue of solo recordings. His CD of solo violin works by composers such as Carter, Estrada, Ferneyhough and Donatoni, as well as his recording of Nono's La Lontananza, both on the label Montaigne, have been awarded numerous prizes. His recording of Cage's Freeman Etudes for solo violin, as part of his complete Cage violin music series for the American label Mode, has made musical history. In 1995, he formed a Duo with the virtuoso pianist Rolf Hind. Since then, the Alberman/Hind Duo has played recitals in the major European cities including Vienna, Darmstadt, London, Stockholm, Oslo, Stuttgart and Brussels. 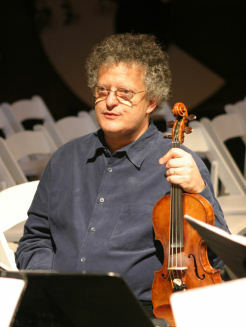 In addition to recitals with the Duo and teaching (he is a Guest Professor of New String Music at the Guildhall School of Music and Drama in London), he became a Principal of the London Symphony Orchestra in 1999, and has played as guest concertmaster in groups as varied as the London Symphony Orchestra itself, the BBC Symphony Orchestra, Ensemble Recherche Freiburg, Sinfonia 21, and the London Sinfonietta. He is a keen chamber musician, appearing with groups such as the London Sinfonietta, Nash and Razumovsky ensembles. He has appeared as soloist with, among others, the Orchestre de Lille, the BBC National Orchestra of Wales, and the ORF Radio Symphony Orchestra in Vienna. David Alberman plays on a Guarneri Del Gesu violin of 1736. This interview was recorded in Chicago on March 1, 1992. Portions were used (along with recordings) on WNIB in 1993 and 1994. The transcription was made and posted on this website in 2009.